Gone are the days of stuffy Victorian wallpapers - here are some twists on the traditional, transforming wallpapers using Victorian wallpaper or retro wallpaper designs into modern wallpaper ideas. 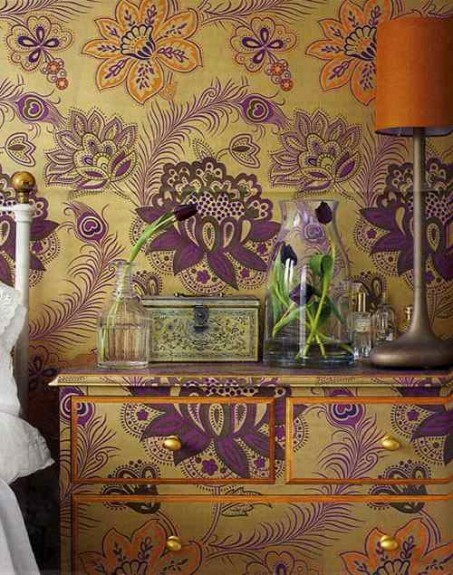 These great wallpaper ideas can make a space feel really exotic - and unexpectedly refreshing. You don't have to cover an entire wall - just do one wall with Victorian wallpaper as a feature, or use retro wallpaper to create a divider or cover a cabinet to create a wow! factor in your rooms. The trick is to rethink how you decorate using Victorian wallpaper or retro wallpaper. The aim is to make a splash by applying feature wallpaper ideas and mixing it up so your retro wallpaper looks totally fresh and modern. Think over-sized patterns, interesting scenes or colours and using them in unexpected places. Here are some very cool modern wallpaper ideas from HomeEdit.com. I remember that many years ago my parents were in love with wallpapers. At that time these items were very fashionable and created a totally different atmosphere in the rooms. Now I have discovered in my mother-in-law‘s house a huge wallpaper with a beautiful landscape .It is put on a wall on the hall and it looks very nice although nowadays it seems out of fashion. Still the wallpapers can be a wonderful option to get more color in a room, to create a different ambiance which can change your entire mood or sometimes they can be perfect in order to hide something ugly that has appeared on your wall. The combinations of colors are various, the images are so different and you can definitely find something that can please you. You may choose a vintage model, a floral wallpaper, a print with animals, an abstract variant or a wallpaper that invites you in the middle of nature showing you a beautiful beach or mountain landscape. If you had not decided yet, you might be lucky and see some example here. There are some beautiful wallpapers that complete the interior design of some living rooms, dining rooms or bedrooms so that they create a perfect symmetry and harmony together with the other items from these rooms. These photos are quite impressive - even the simple cupboard above has been given a new life using an over sized retro wallpaper - that is, using the same wallpaper as the wall behind it. You can read the full article at HomeEdit.com. for more wallpaper ideas using Victorian and retro wallpaper to step up your decorating. 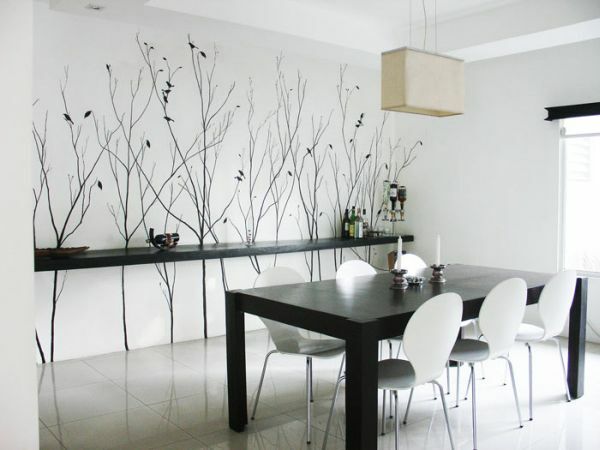 Cheeky wallpapers can transform rooms if you use some of these wallpaper ideas. These can be particularly effective if you are hiding less than perfect walls, highlighting feature walls or decorating white walls. Read more in the article Is White The Best Wall Color? to get ideas on how to decorate your walls. Please leave a comment if you have some great ideas on how to use Victorian wallpaper to decorate - remember to Like us on Facebook and always be nice and Share..